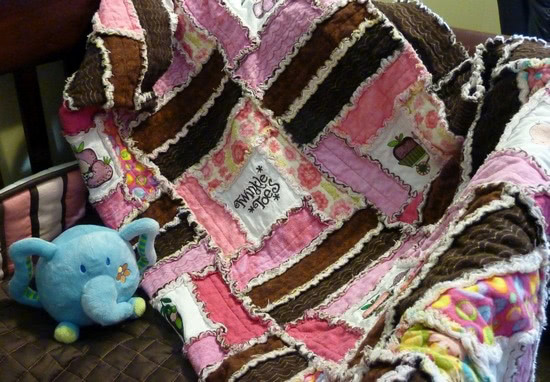 Please join me in welcoming today’s guest blogger Kim Hanson as she shares some of her gorgeous quilt mash-ups. Great day to you! 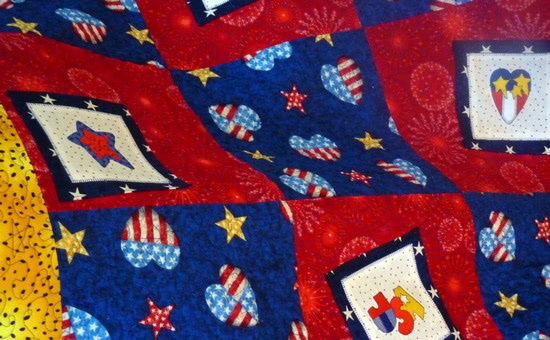 I’m Kim Hanson and I love quilting.The endless possibilities that fabric art offers is both seductive and addictive to me. I am grateful to be able to work daily in my home studio and run a website – www.KimHansonQuilts.com. 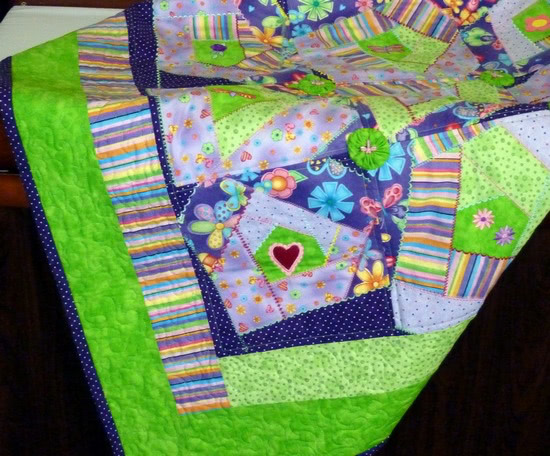 Delicious colors combinations, charming and whimsical embroidery designs and such fun and easy, breezy patterns bring the Quilt Creator (You!) so much personal satisfaction and the Q.R. 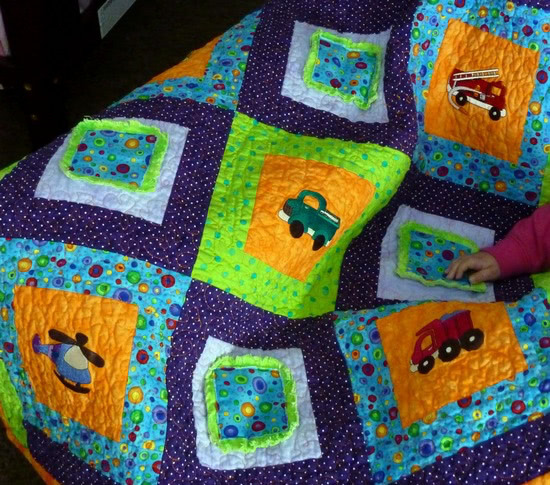 (quilt recipient) so much delight. Any of my patterns can be customized by the Q.C. for the Q.R. with ease and a little pre-planning. Take My Flower Garden for example. Crazy quilting with an embroidered twist! Step #1: Decide who the Q.R. will be and what theme your quilt will portray. Step #2: (Fun part……) Sit down with your fabric stash and choose fabric colors that will suit your theme and your Q.R. Better yet, jump online or head to your favorite quilt shop and purchase some brand new fabrics. Step #4: Begin your creative process and love, love, love what you do! It will show in every stitch that you make. Your embroidered quilt will shine and your Q.R. will love your work and cherish the project. So much fun! Mash-ups are what I love the most – what is your favorite mash-up? Thank you Rita! Love to hear what you’ve made with your embroidery machine. 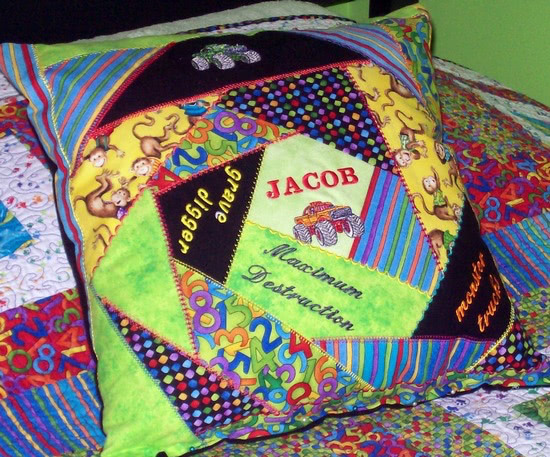 It was hard to pick, but my favorite was Jacob’s Crazy Pillow! The pics are very inspiring! Thanks for sharing! I loved the pictures. I just started a pilates class and now have my new project. 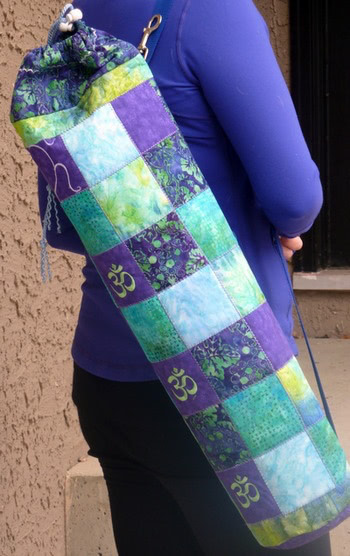 I am going to make a pilates mat bag. Thanks for my inspiration! i am a first timer here and find the quilts very very nice and very inspiring. Thanks for sharing. Cheers.